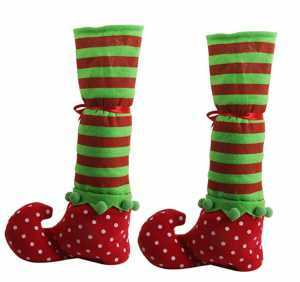 Are you looking for some different Christmas decorating ideas? Want to try out something new to decorate for Christmas? I’ve picked out 12 Unique But Simple Christmas Decorating Ideas, I know I’ll be trying a few of these out myself! 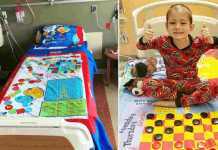 Isn’t this a nice idea? 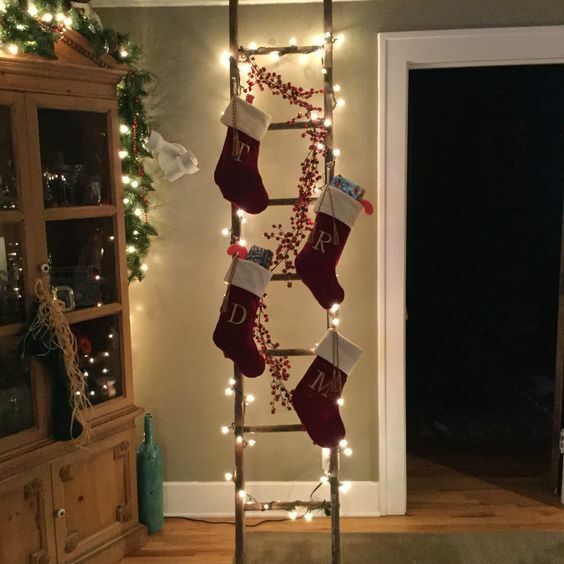 Make a Stocking Ladder using a ladder with fairy lights and red berries wrapped around the rungs and a hook for each stocking to hang. 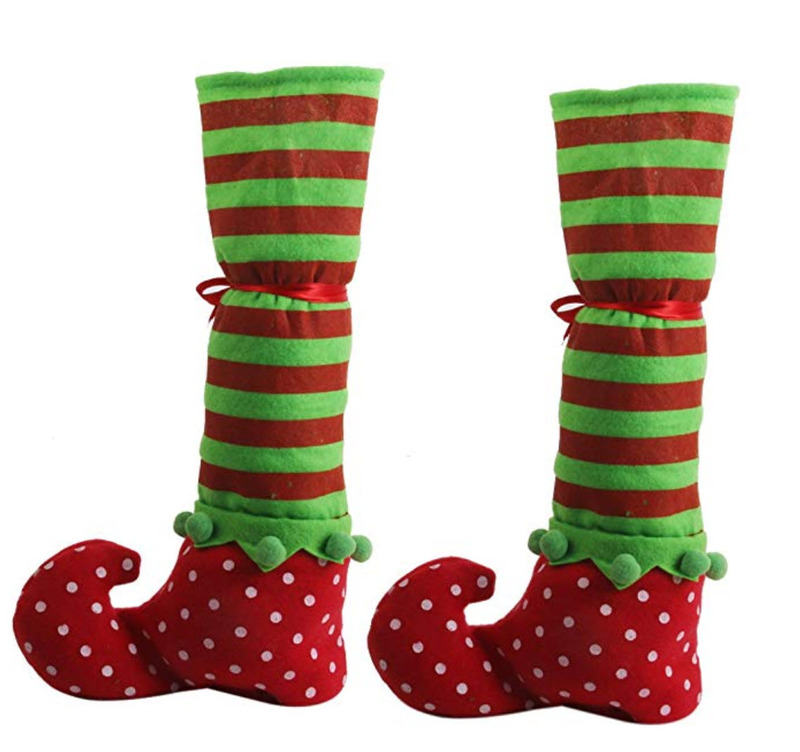 For a bit of quirky elf-ish fun dress up your Christmas dining table legs with some elf leg covers. Available to buy on Amazon.co.uk and Amazon.com. 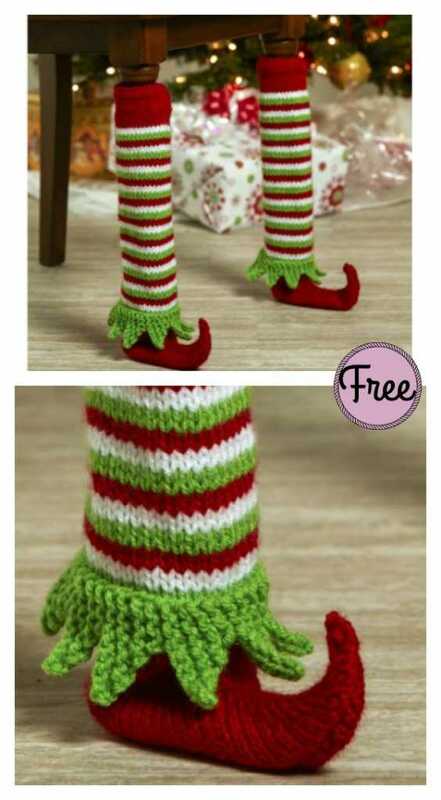 Or if you are handy with the knitting needles there’s a free elf legs knitting pattern available from Cool Creativity you could have a go at. Wow! This would make a great talking point. 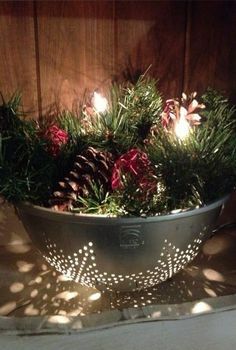 This Christmas decorating idea uses a metal colander with fairy lights, pine cones and touches of red for a lovely Christmas feature. It could brighten up a dark corner too. I’m a sucker for fairy lights so I think this tree on a wall made of lights from A Merry Mishap is a lovely idea, I’ll definitely be giving it a go. 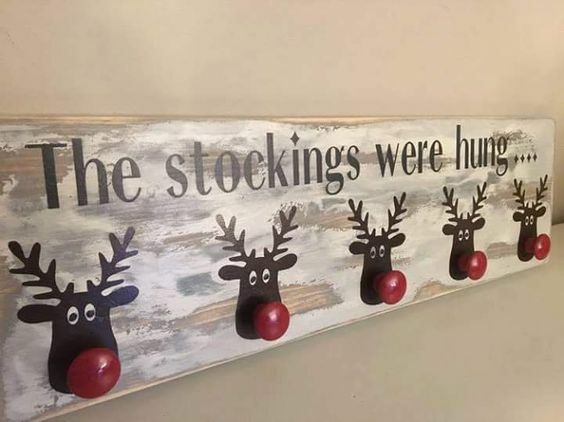 I love this “The stockings were hung” board, it looks pretty simple to make from a wooden coat hanger with the knobs painted red for fun reindeer noses! What I love about this Christmas bunting idea from Bo Bedre is three things – firstly, its simplicity using a ribbon or string with a variety of cute Christmas decorations and baubles dangling down. 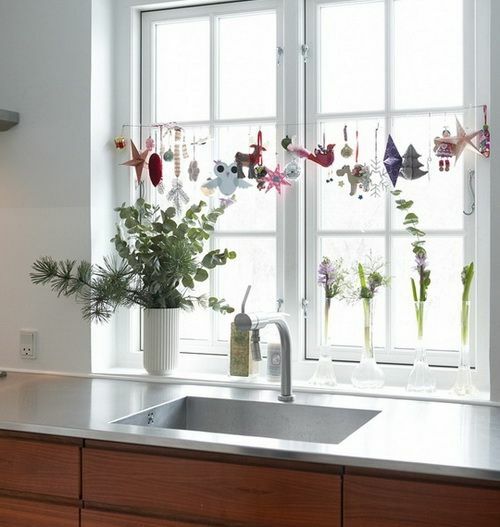 Secondly it’s a great way to decorate a kitchen window. Thirdly it’s totally tailored to you and your family as you can choose what to put on it. 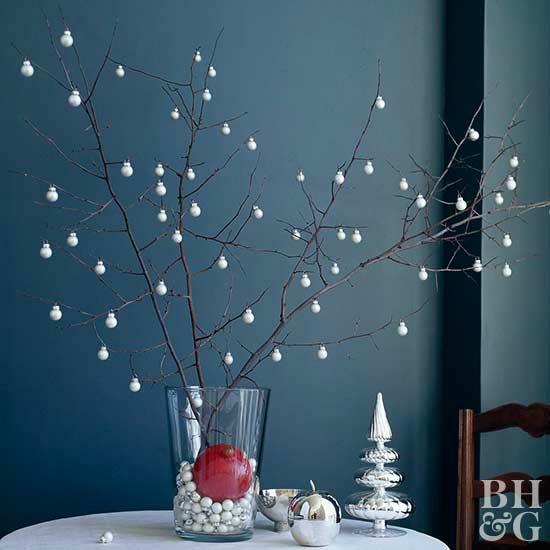 Isn’t this such a simple but stunning Christmas decoration idea from BHG? 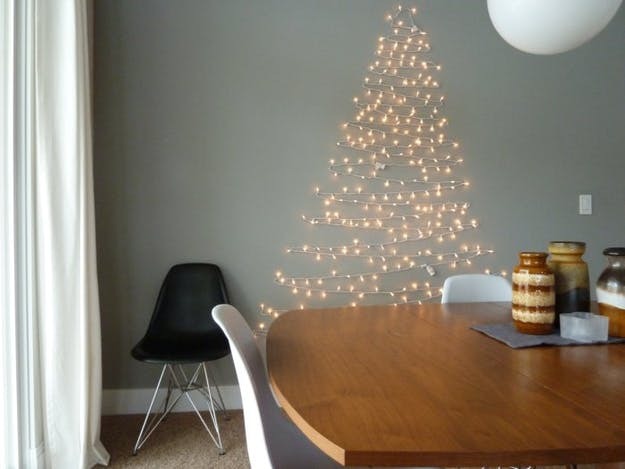 Just take a vase, some bare twigs or simple tree branches and hang white baubles for a gorgeous mini tree. Get the kids to help make this gorgeous paper snowflake decoration. Full instructions and materials here. 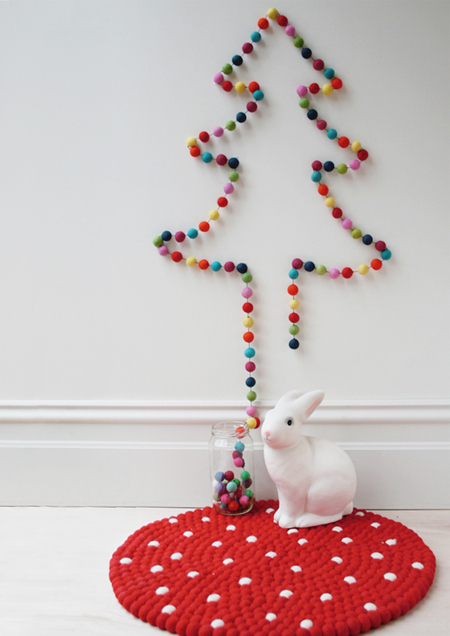 I just love this Christmas tree for a wall made out of different coloured pom-poms. You could either buy them or spend an afternoon crafting with the kids and making your own. 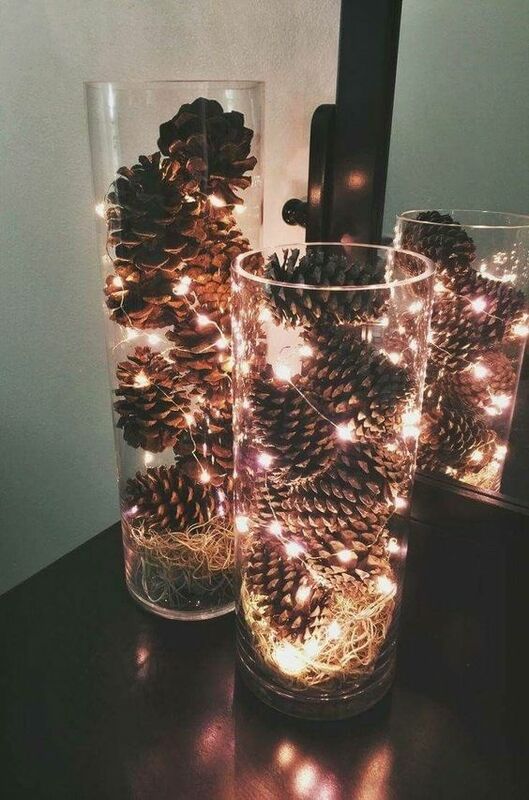 This decoration idea for Christmas is so simple – glass vases with pine cones and fairy lights tucked in. In fact it could almost stay as a whole year round decoration too. I just love, love, love this Christmas decorating idea from DIY Candy. 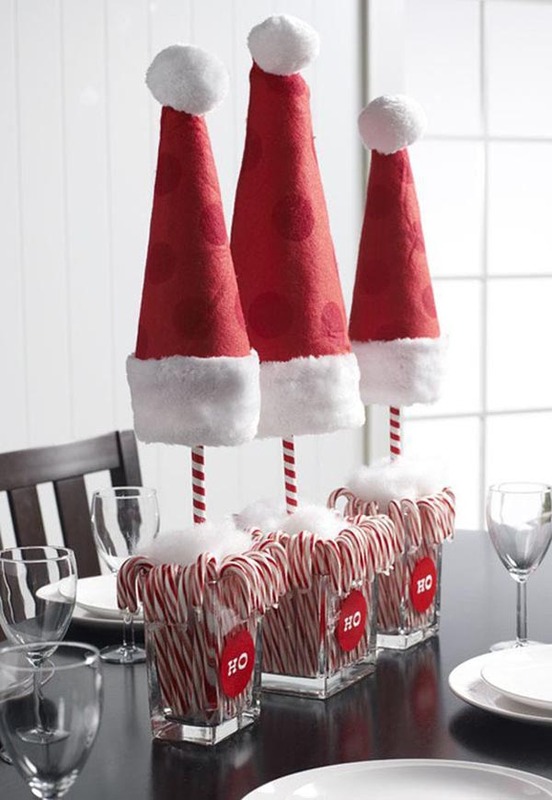 They’ve put 3 cute dotted Santa hats with square glass vases crammed with stripey candy canes. It would make a real talking point for your table or mantelpiece. 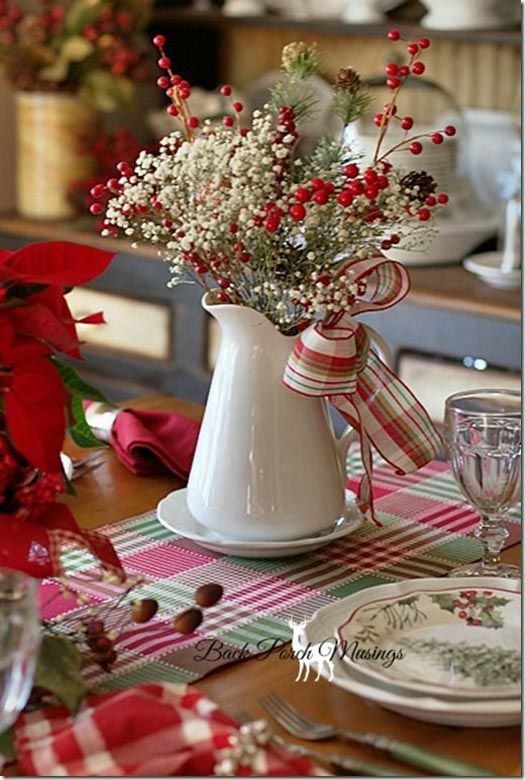 I think this idea from Back Porch Musings is gorgeous especially for your Christmas dining table. It’s just a simple white jug but dressed perfectly with some white baby’s breath with red berries and a lovely ribbon bow on the handle. So stylish! Over to you now. Which of these Christmas decoration ideas was your favourite? Tell us in the comments below.